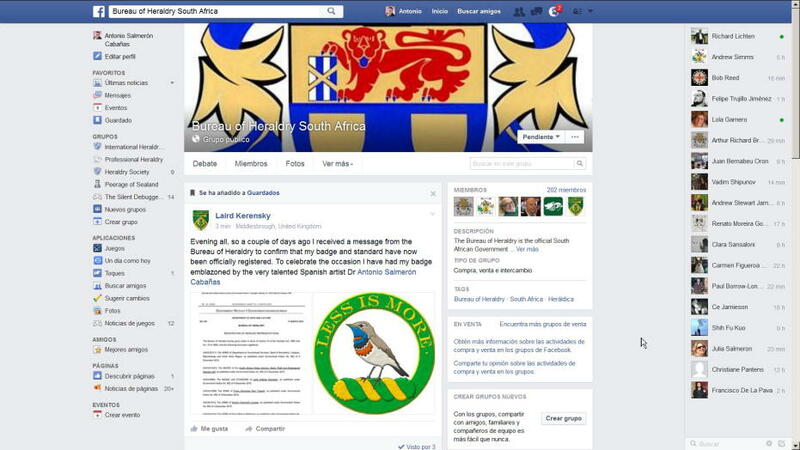 Facebook, Bureau of Heraldry South Africa. Artistic techniques, shapes and styles. Emblemata; 2009. 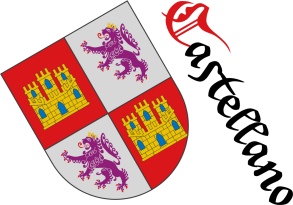 Baron of Valdeolivos Emblematic Chair, of the Fernando el Católico Institution, of the Centre of Scientific Research (C. S. I. C.) y of the Excelentísima Diputación de Zaragoza, «Emblemata», Volume 15th, Emblemata Aragonesa de Emblemática Magazine (E. R. A. E.), 579 pages, ISSN 1137-1056, Legal deposit Z.3.937 1996, Printed by the Cooperativa de Artes Gráficas Librería General, Zaragoza, 2009. 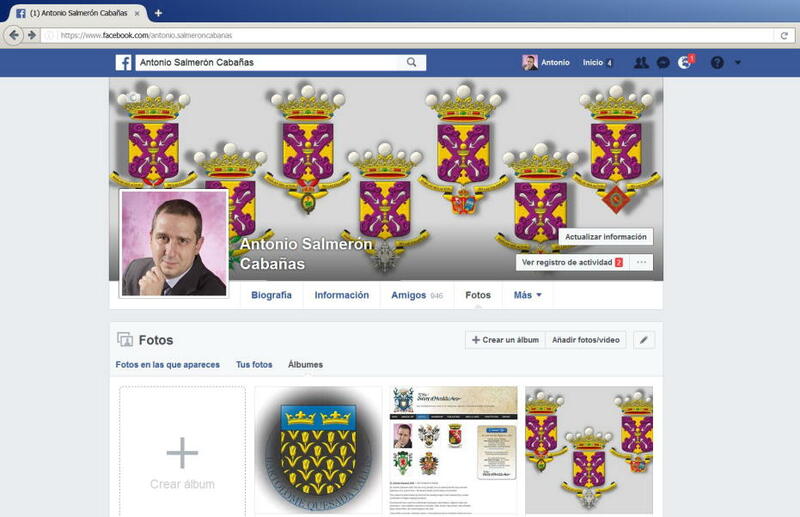 My personal Facebook wall is facebook.com/antonio.salmeroncabanas. 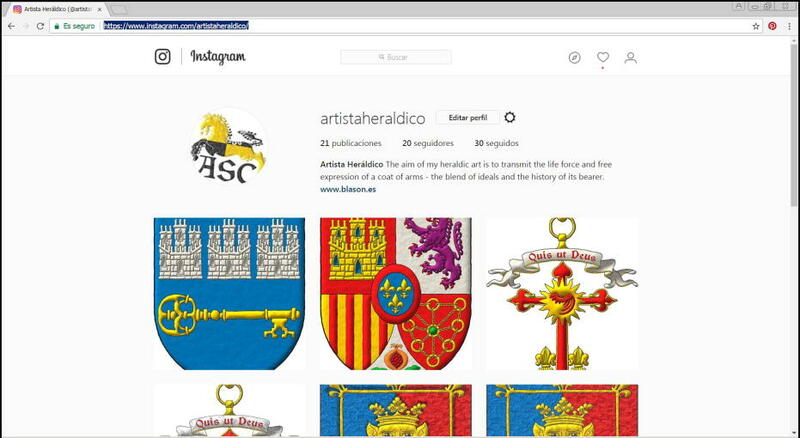 My personal Instagram wall is instagram.com/artistaheraldico. Fernando García-Mercadal y García-Loygorri, «Catálogo emblemático del archivo-biblioteca del barón de Valdeolivos de Fonz», [Emblemata; 2015; pages 675-677], Volumes 20th and 21st, Aragonesa de Emblemática Magazine, ERAE, Fernando El Católico Institution, ISSN 1137-1056, Zaragoza, 2015. 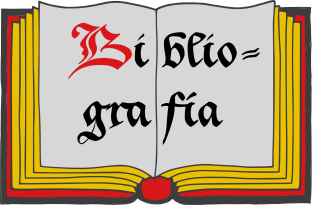 The author is García-Mercadal y García-Loygorri, Fernando. 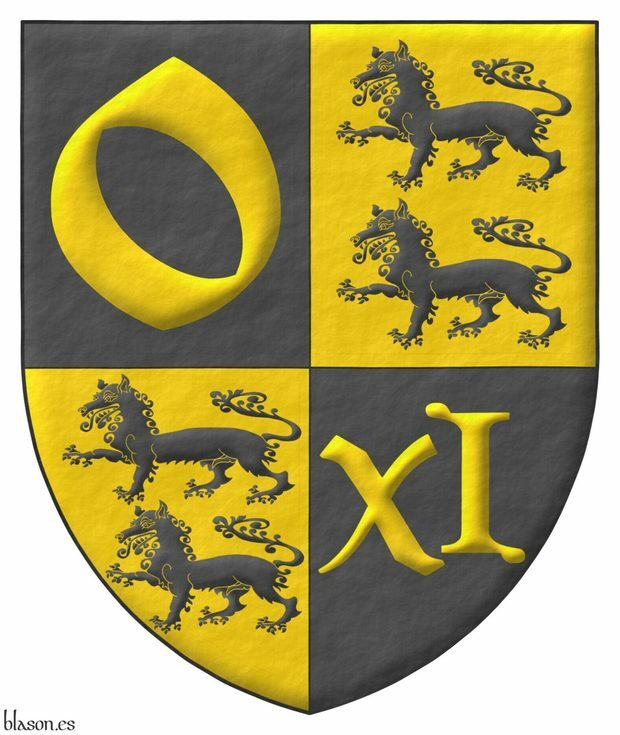 Sigue por: Categories of the bearers of the coat of arms. 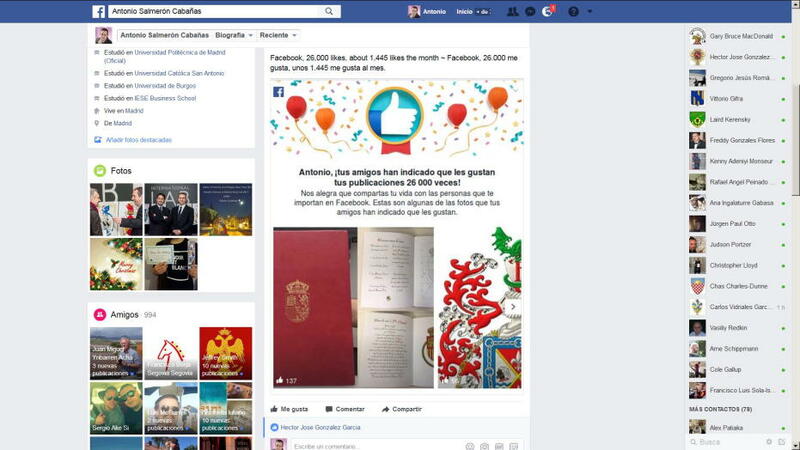 Bibliography, Commentary, Facebook, Instagram, Castilian language, Social networks, Magazine, Century XXI, Technology and Index.